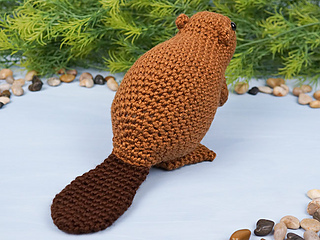 This pattern is available from planetjune.com for $6.00. 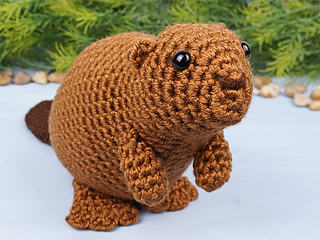 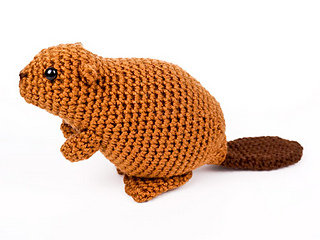 An original crochet amigurumi Beaver pattern by June Gilbank. 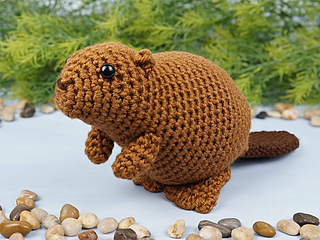 The beaver is the largest rodent in North America. 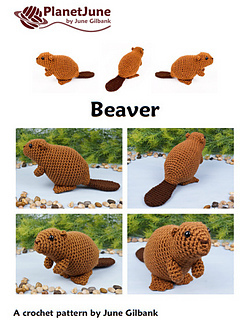 It lives in ponds and lakes and on riverbanks. 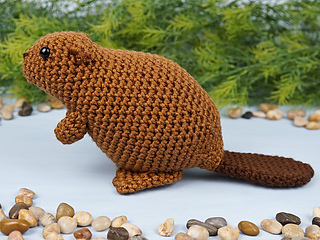 Beavers can see underwater as well as they can on land, and can close their ears and nostrils when swimming. 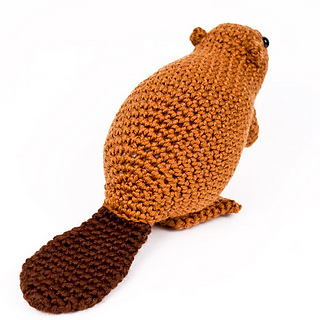 They swim using their webbed back feet as paddles and their flat tails as a rudder.